Posted on February 6, 2019 at 3:35 pm. 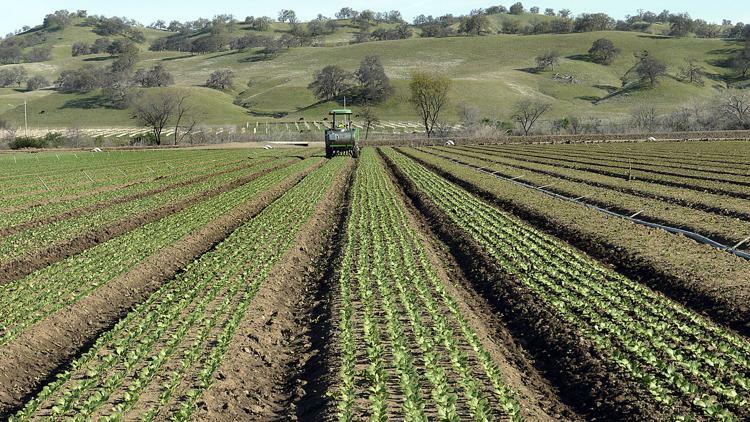 CAPAY, Calif. — Thaddeus Barsotti, who received the Organic Farmer of the Year award last December from the California Certified Organic Farmers and the Organic Produce Network, says all farmers should get an award. Barsotti grew up on the family farm in Capay. It wasn’t until he was in college that he realized everyone didn’t grow up growing vegetables and hustling them at farmers’ markets. For him, the decision to farm was gradual. He was always interested in the farm and went to school and studied agricultural engineering. He figured he would end up in the ag industry in some capacity. That was almost 20 years ago. He is firm in the conviction that a farmer cannot eradicate pests. The summer crops include melons, tomatoes, eggplant, peppers, figs and apricots. The fall brings kales, chards, carrots, lettuces, bok choy, radishes and beets. Winter crops are Satsuma Mandarins, Meyer lemons and winter squash.